WHAT IS BOKASHI COMPOSTING? 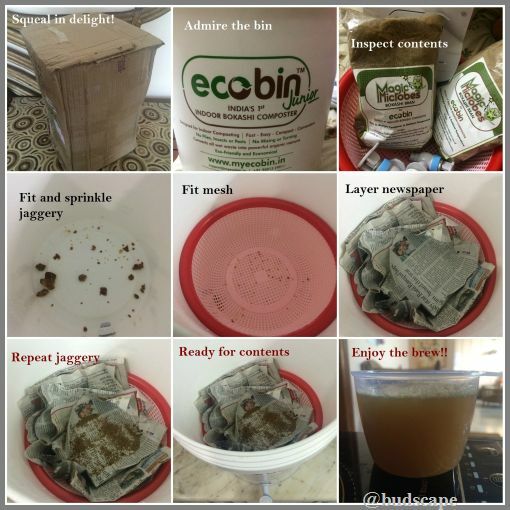 HOW DOES AN ECOBIN WORK? So, the crazy gardener in me is always open to all sorts of crazy ideas.. staying up all night to divide a gerbera early morning, planting seeds in the wrong season to see if they sprout.. rarely going by the books.. trying to sprout cuttings with what-not.. u get it.. but never did i ever think of composting in my kitchen right on the counter top!! Now composting and me have had a love-hate relationship. I love compost but i hate TO compost for all the stinky messy reasons. Being a DIY person by nature, i have tried making all sorts of composters myself with tubs n pots n matkis but living in a rented house now where fellow occupants do not take kindly to the smell and mosquitoes, i had almost given up till we move to our own place. And then.. BOOM!! like a flash of lightening from the sky followed by a thunderous imaginary slap, realization set in and i wondered WHY haven’t i tried the bokashi method i have been reading so much about! Now, where i live,the soil isn’t too good to begin with. And the endless bags of amendments i have dumped into pots did not really show their worth. TBH the soil back in Punjab is RICH. You dig some garden soil, plant and wow..everything flowers! I don’t know of it’s the black rich soil from our garden but i never really needed much to make plants happy. Here, it takes effort.. and a lot of it!! I have a special formula that works for roses and certain flowering plants but when it comes to perennials, i am at a loss!! So after a lot of studying,research and positive feedback, i decided to go the bokashi way. There are a lot of tutorials on making your own bokashi bin, but i decided to play it safe and learn the ropes of the game first, and i do not regret it at all!! 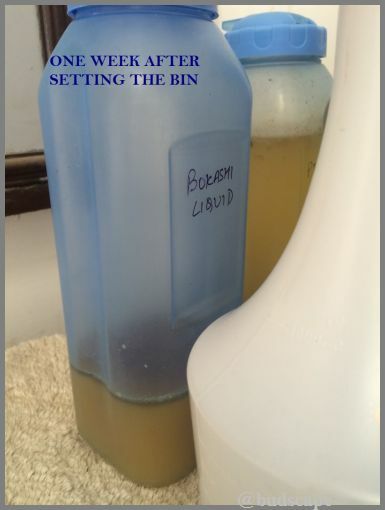 Bokashi is a Japanese technique of anaerobic fermentation that includes picking of all the wet kitchen waste you dump into the bin, along with certain microbes(bokashi bran). So unlike traditional composting, you dump all the wet kitchen waste like peels, leftover food portions, wilted flowers and even some non-veg. Read all about it here. Sprinkle microbes and shut the lid tight. Start collecting the liquid produced every 2-3 days and dilute it to spray/pour into your plants. Super easy, non-messy, non-smelly and quick! Once the bin is full keep it shut and keep draining the liquid till it is produced; then dump exhausted contents into a pot with soil and starter compost to produce more compost super quickly!! Meanwhile start filling the other bin and repeat. So, many companies are selling the bins and i got myself a set of 2 10lt. bins. I ordered the bin two weeks ago, received it last Friday, and today i have already collected more than 500ml of brew(LEACHATE) which means 500*50(water)=25000 ml of ready spray!! 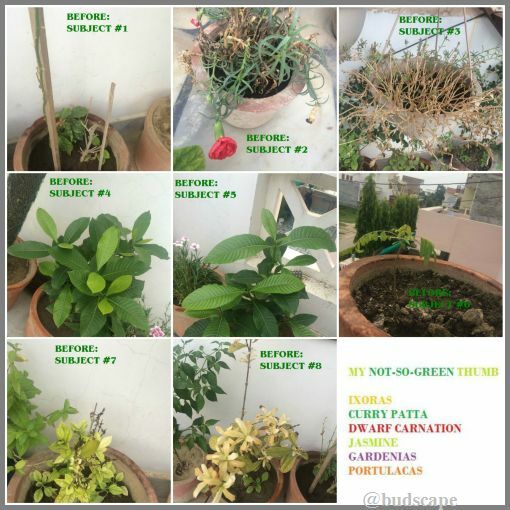 Since the efficiency of any garden amendment can only be vouched for when we see progress with naked eyes, i have take “before” pics of the most sorry and sad looking plants that just refuse to grow despite me trying every method in the book. I am told that after regular application every 2-3 days, i should see visible positive results in 2 weeks.. If it does, i will treat the bokashi bin as a divine object and pray to it every morning, i promise! This post will be updated with progress as it happens and till then i am keeping my fingers crossed! 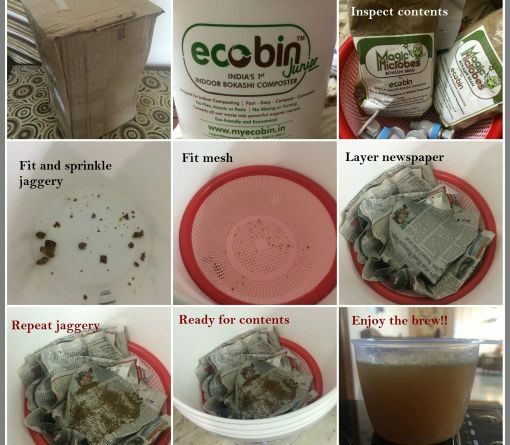 If you are also practicing Bokashi composting or making bokashi bran at home, i would love to know your views! Do comment!